Student linguists from across the north-east made a return visit to The Grammar School at Leeds (GSAL) this week to test their language and debating skills. A-level students of French, Spanish and German were put on the spot as they debated topics of the day such as the language barrier and integration, whether French/Spanish/German culture is dying out through globalisation, and do the youth of today have it easier than ever before. It was the second year running that GSAL has hosted the north east regional modern foreign language debates. The visiting schools from across the region included Newcastle High School for Girls, Silcoates School, Harrogate Ladies’ College, All Saints School York, Yarm School, Hymers College, Ripon Grammar School, and Bootham School. Congratulations to the winning schools – Hymers College in Spanish, All Saints in French, and Bootham in German. 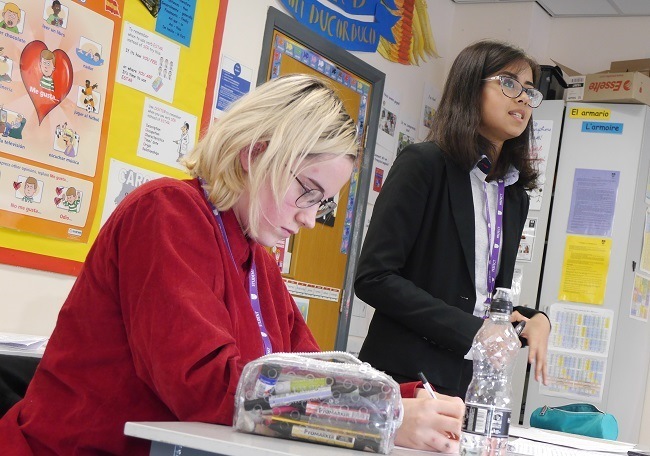 GSAL’s sixth form students held their own, fielding five teams across all the languages with four teams reaching the semi-finals. The team members were Tom Shakespeare, Ciaran Duggan, Arthur Bainbridge, Emily Ball, Sam Kunin, Andrew Robinson, Flavia Schofield, Izzy Firth, Freya Marshall, Mahika Gogi and Kitty Farren. Charlie Peach deserves a special mention for crossing the floor to help out Newcastle High as an honorary student.